I have had the photos for this blog uploaded and ready to go for well over nine months, but I sat on it and kept pushing the it back in order to stay on top of other stuff. 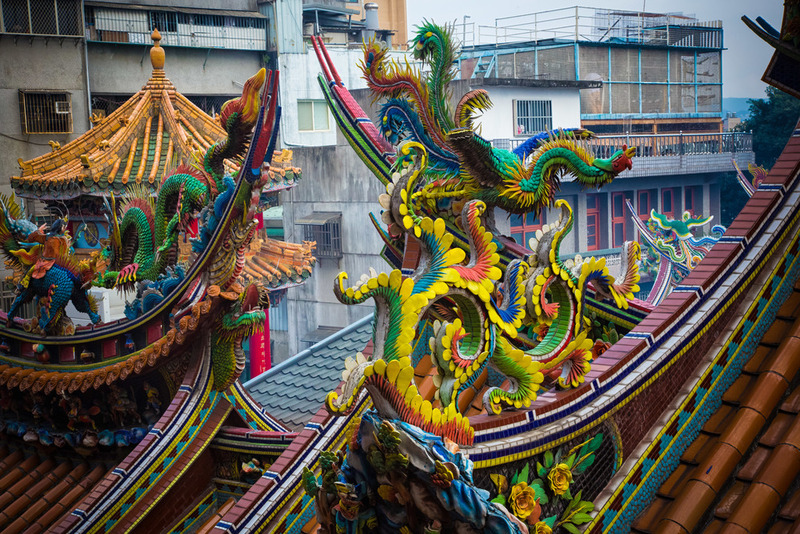 I suppose though that I might have just been leaving it for just the right time as over the next few weeks I plan on posting about a few really cool Taiwanese temples that have a lot of historical significance. 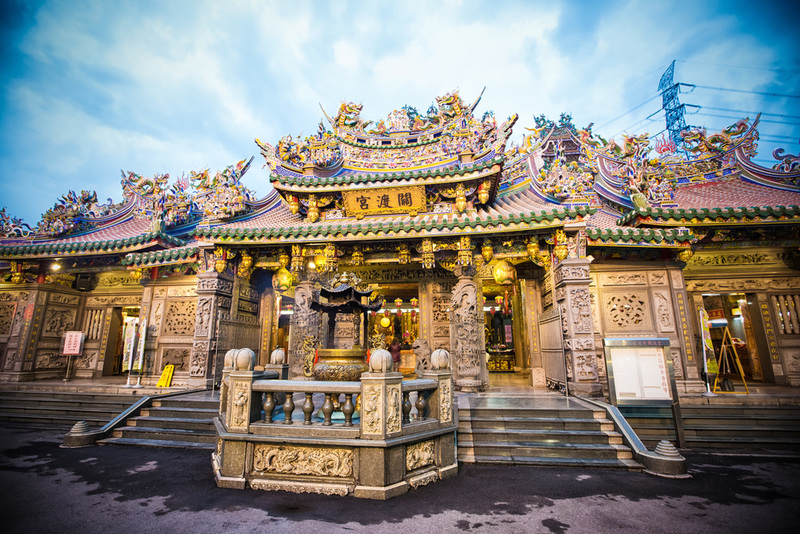 The temple is situated in Taipei's Beitou district (北投區) which is more famously known for its geo-thermal hot-springs. 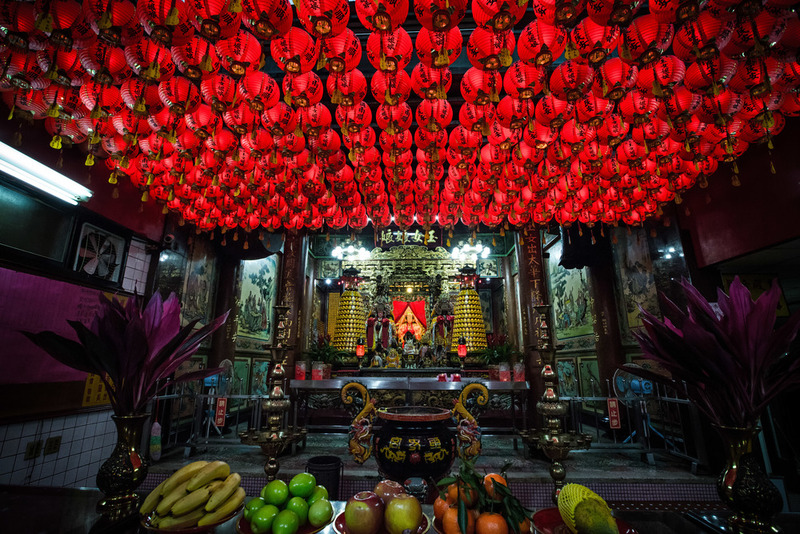 The temple is easily accessible by Taipei’s MRT system via Guandu Station (關渡站) on the Tamsui line (淡水線) and a short walk from the station on a road lined with lanterns guiding your way. 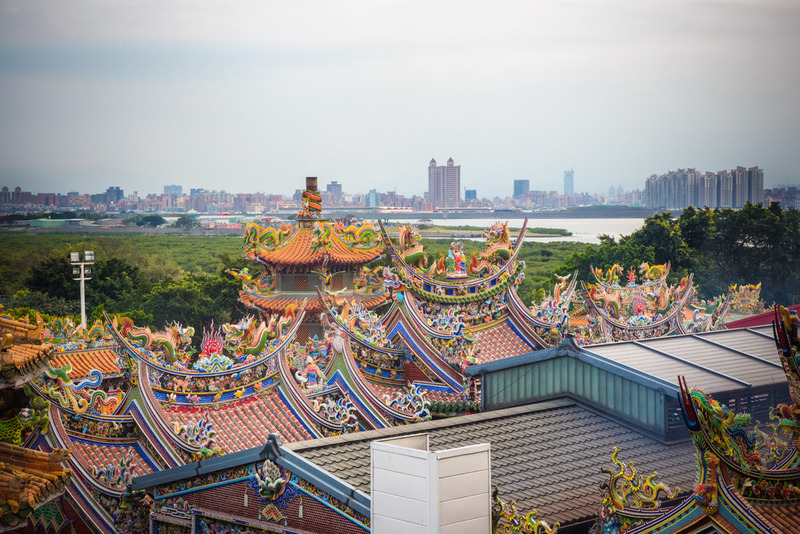 Guandu is popular with Taipei residents as it is along the Danshui River and has not only the popular temple, but also the Riverside bicycle path and the Guandu Nature Park (關渡自然公園) which is quite popular with nature lovers and wildlife photographers. 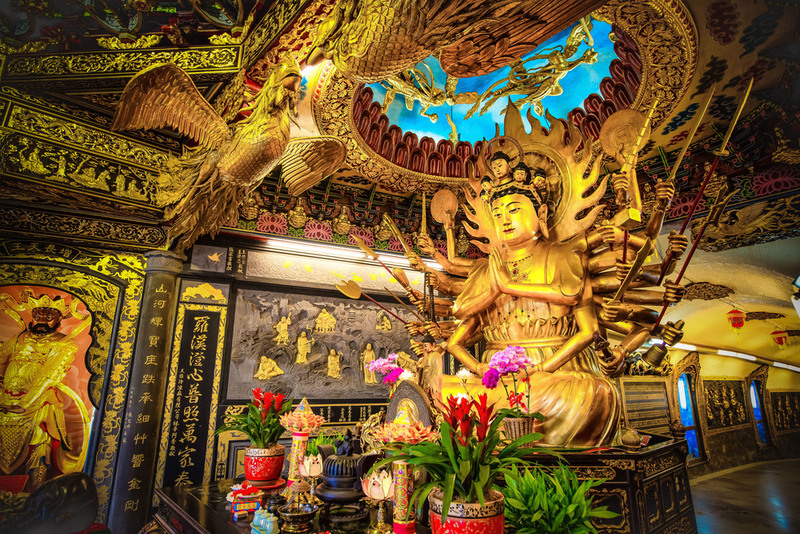 The temple itself, originally named Lingshen Temple (靈山廟) has a history dating back to 1661, although the temple didn’t actually begin construction until somewhere around 1712 when a Buddhist monk traveled from China bringing with him a golden statue of the goddess Matzu. The original temple was quite modest compared to what you see today, but due to the wealth of the immigrants who lived in the area, and because most of their income came from transporting goods by sea, it made sense to pool some of their wealth and build a more spectacular temple along the banks of the Danshui River dedicated to the Goddess of the Sea. Walking around the temple grounds. 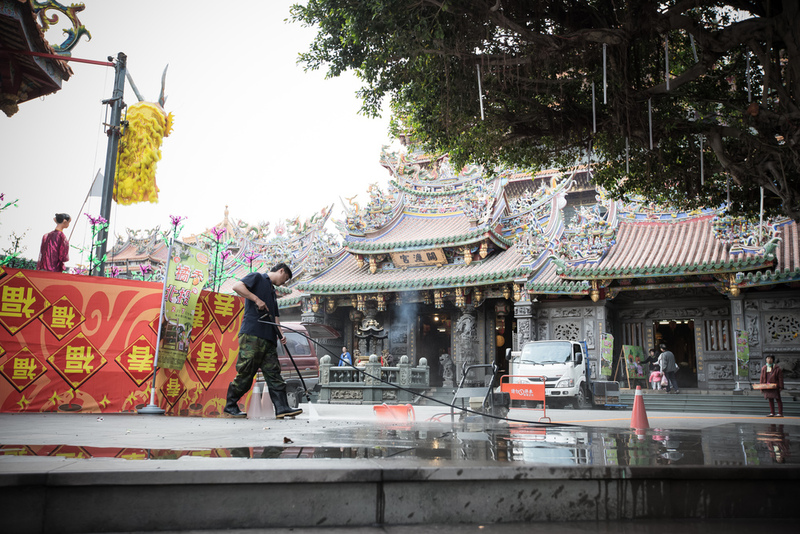 Since then, the temple has been renovated and expanded upon several times over its over 350 year history making it currently the one of the largest and oldest Matsu temples in the northern area of the country. One of the interesting things about the temple is that it is built into the side of a small mountain. The mountain has a cave which has been converted into a pathway that brings you to another beautiful shrine. 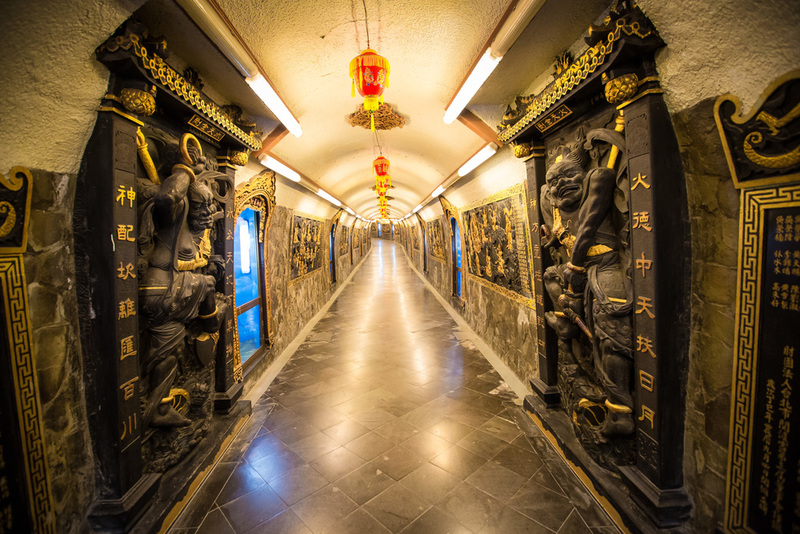 The walkway is eighty meters long and has statues against the walls which depict the 28 heavenly emperors. The walk through the cave is really cool and whenever I visit the temple, I find that I spend quite a bit of time walking through it looking at the murals on the wall. 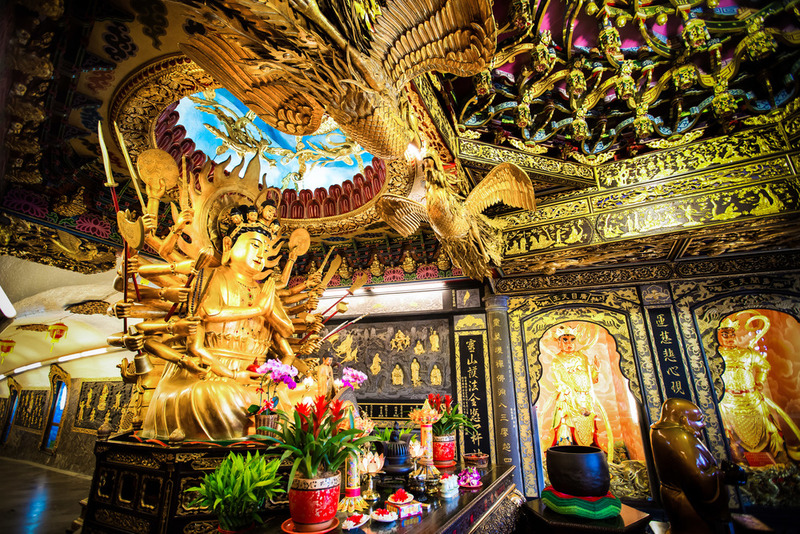 At the end of the hallway there is another shrine room which I think is probably one of my favourite shrines in all of Taiwan which has a giant shiny bronze statue of the thousand armed Guanyin that has incredible detail. The room set up around the statue is small and the detail on the walls is spectacular. There is a small balcony on a cliff in front of the shrine that overlooks the river and is a nice place to relax for a few minutes. 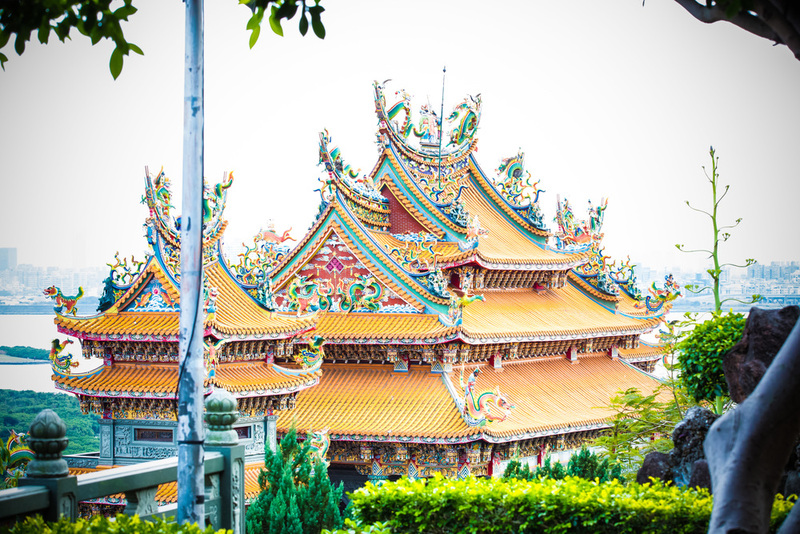 If you climb the stairs behind the temple, there is a park on Mount Ling that has a cool overlook of the the river and a view of the back of the very large temple that looks towards Taipei city with Taipei 101 in the distance. The park has Sakura trees that are in bloom in winter and if you show up at the right time, you'll be able to see the temple as well as the sakura. 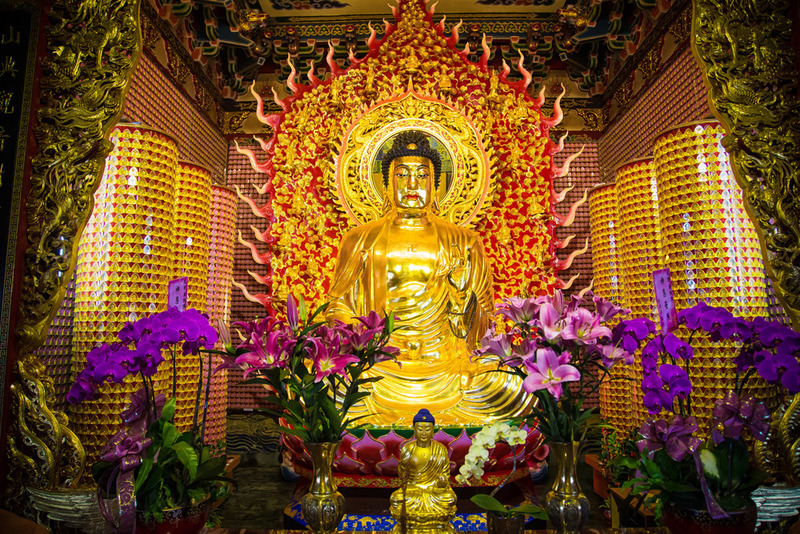 I’m not going to go into great detail about all the shrines at the temple or the superstition and miracles that people believe makes it such an important place. If you visit the temple there is an excellent information brochure (in English, Japanese and Chinese) which introduces the temple, it's history and all the shrines inside. I recommend picking it up when you visit and checking it out. 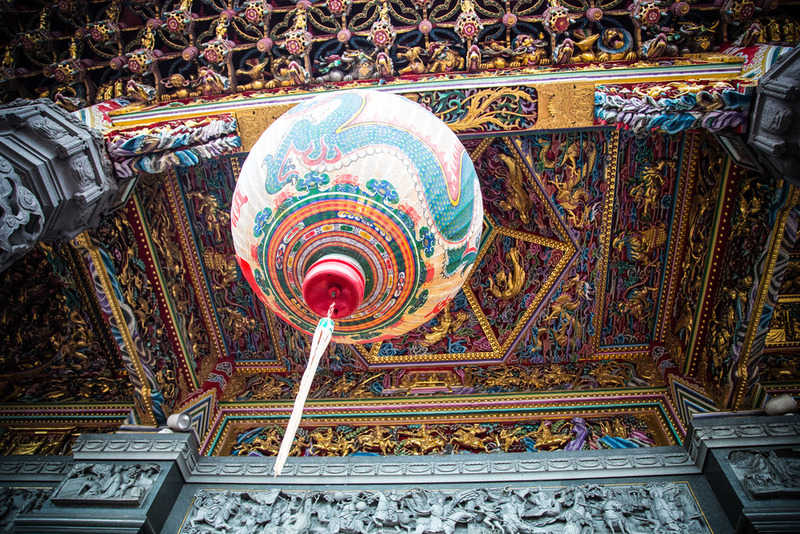 I love Taiwanese temples and the art and craftsmanship that goes into building them – but I'm not a fan of perpetuating stories of superstition and miracles. So even though other blogs might tell some spectacular stories about things that have happened in the past, I'll let you get that information from them. 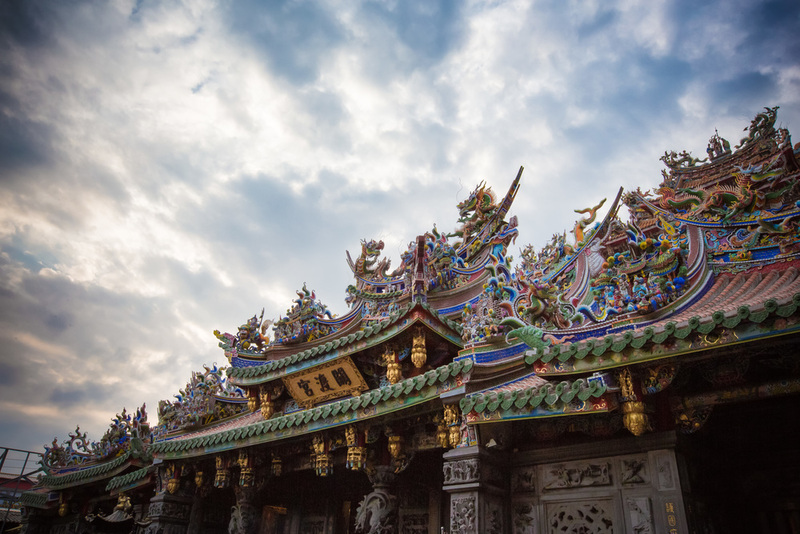 Guandu Temple is really one of the best examples of temple architecture in Taipei and it has a long history making it one of the most important religious structures in northern Taiwan. 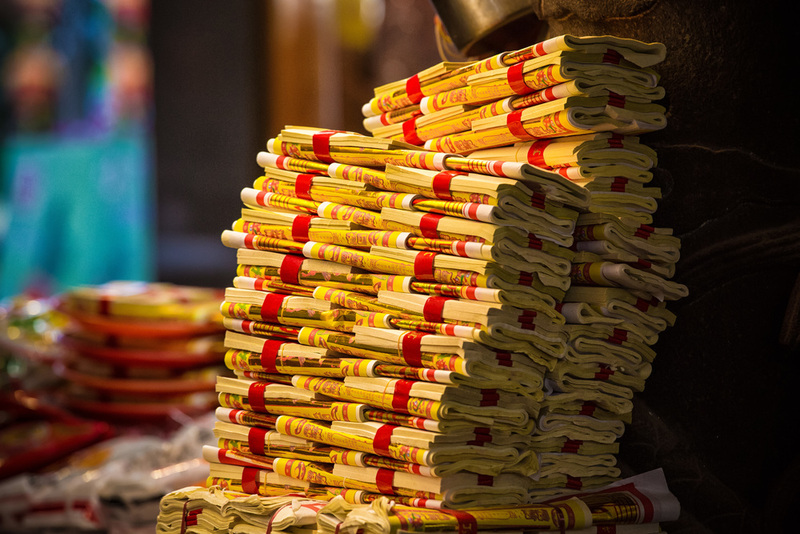 If you are visiting for a short time, I know all the guide books recommend visiting Longshan Temple (龍山寺) but I highly recommend you make time to visit this one as it is just a important historically and if you are interested in the craftsmanship and artistic side of things, this one is going to appeal to you more than the massive crowds at other popular temples.